213's take on "X-Men Origins: Wolverine"
This is a sure fire Wolverine fan must buy and even if you don't think Wolverine is all that and then some you might want to look it over any way, keep in mind that nine out of ten games based on a movie are pure crap but i saw this movie and the game storyline is not 100% the same but its better that way so you still have a surprise or two waiting for you. While X-Men Origins: Wolverine is a button masher at heart its still only as repetitive as you let it be, you could go in and just pump the X button to swing your arms like a windmill of death and be as repetitive as say Jade Empire or you can roll in to a room of 20 enemy's and never kill one the same way. This game has a few puzzles in the line up for you but it will take little to no time to figure them out and the achievements are easy enough that you should have all but one or two by the end of your second play though and once you have beat the game you can go back and pick a stage to play which is always a good option for this type of game. I cant say that this game is at all flawless as you will find some small bugs and glitches in the stages such as the time i did a flip in to the air and while claw slamming a downed enemy i hit and kill him only to keep falling till i had to reload the check point, i would make a much bigger deal out of this if the game did not make up for it by auto saving at the check points which come often and so your never far from ware you was when the glitch hit. One look at the opening press start screen will let you know for sure there was no lack of time for the graphics department on this game, from the clean clear back drops to the hyper reality of the cut scenes this game has what it takes to look as good as it feels to play, at a close look you will notice every thing from the bolts on the helicopters to the small pointless wires in some of the larger robots but if you want to really see a cool use of the graphics then wait till a big battle is over and you can see Wolverines insides as the flesh starts to regenerate in front of your eyes. 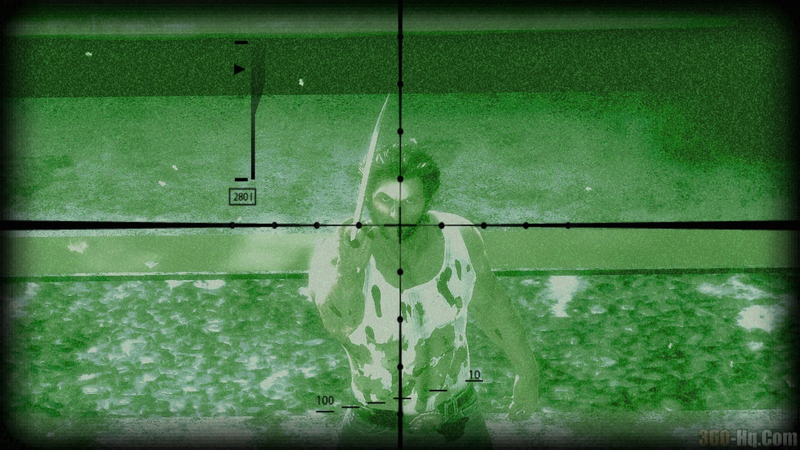 I found this to be one of the played out over used things in the game and it was minimal but when you do a quick kill and the cam moves in for a close up you get the good old blood on the screen that feels like a throw back to Gears of war, while not a big deal it is as i said just played out for me. The sound in this game is ware it needs to be and if you stab an enemy in the chest you hear the sound of blades in flesh and if you stab a robot in the chest you will hear the sound of mettle scraping mettle, this combined with an adequate sound track and the fact that the mouths are always in sync with the words coming out of them is good but the fact that all the characters sound and talk in the same voice as the movie should net the game a 10 out of 10 for sound but i was forced to knock off .5 points due to the fact that in the scenes ware you are in the jungle and have only your bone claws you will still get the sound of metal claws in action. 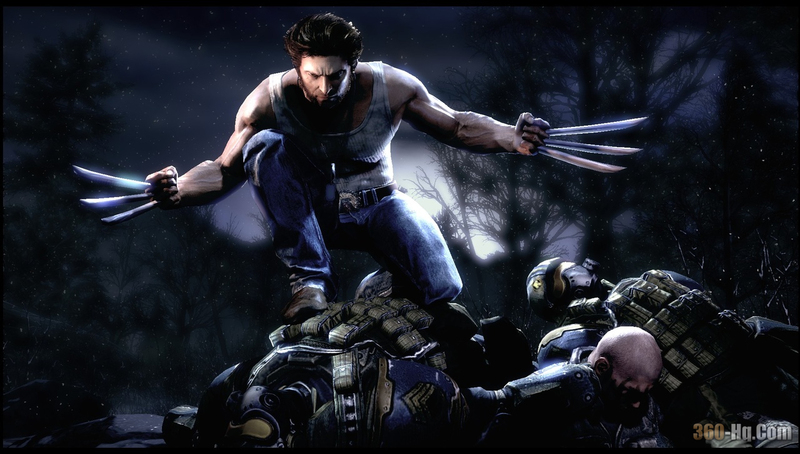 This game is grate and has the right combination to keep me going and killing like no tomorrow, with no online play and no way to enjoy this game with your friends it is unmistakably a one player game but still well worth a rent or if your like me and love you some Wolverine then a must buy so with that said i do think the pile of pros out number the cons in a way that make you feel like you just had a killer gaming experience. The Sequel to the popular comic book mash up is set to return, expect to see it early 2009..